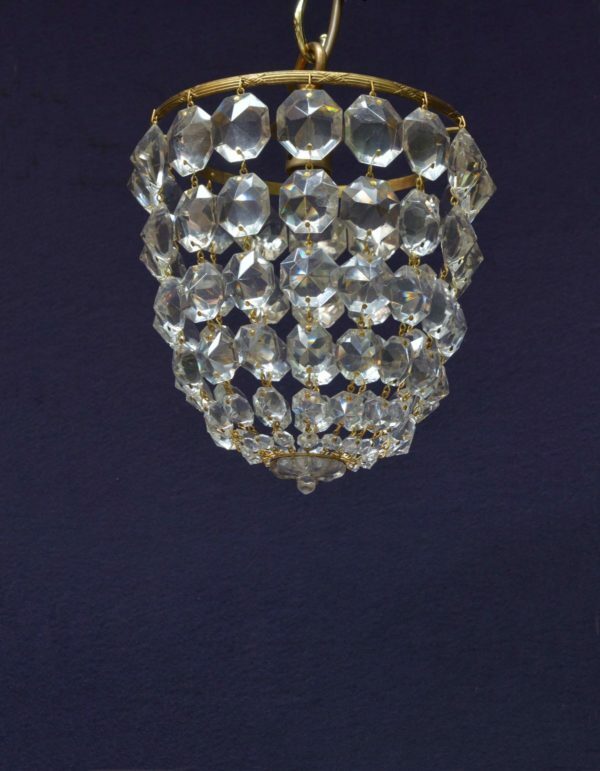 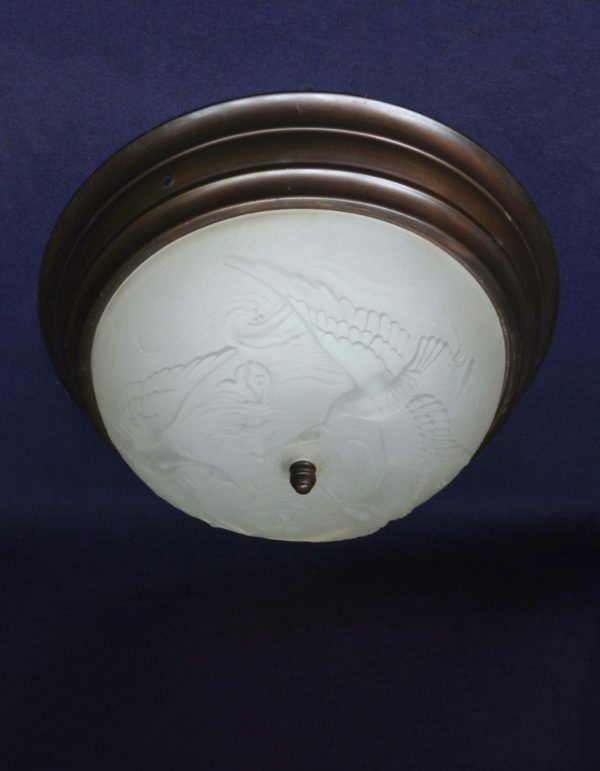 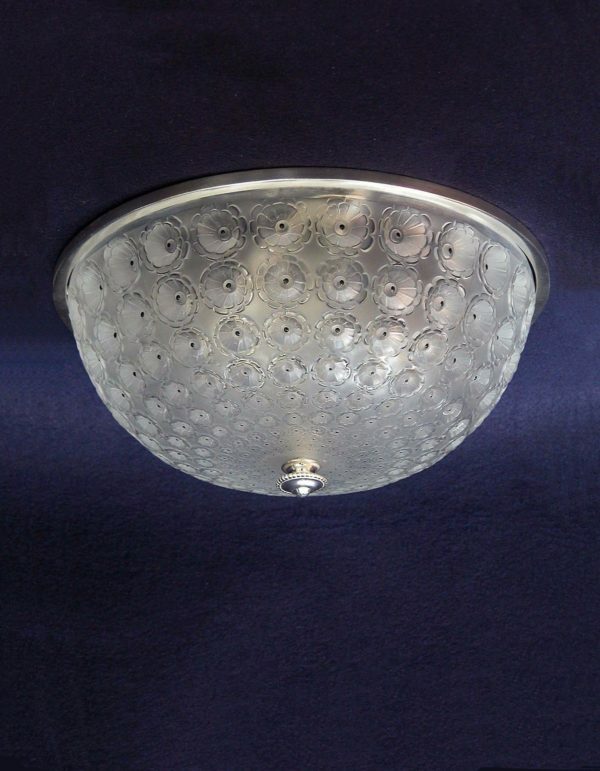 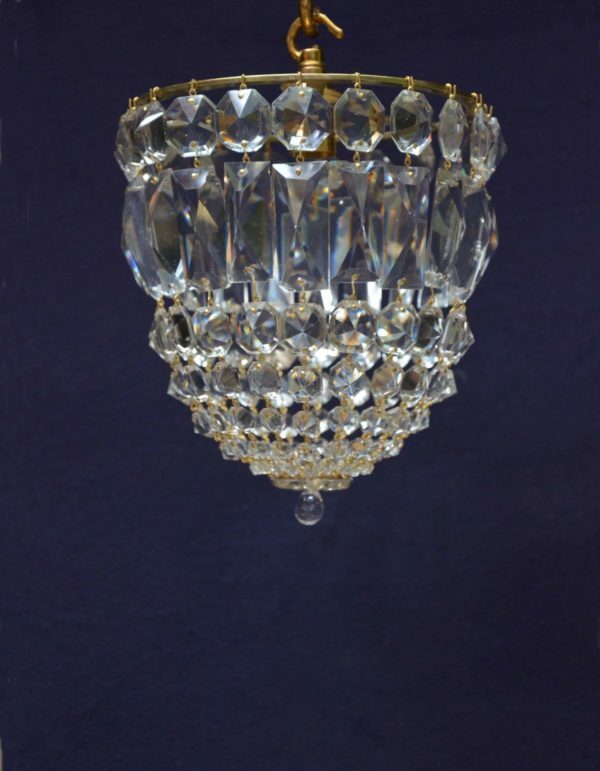 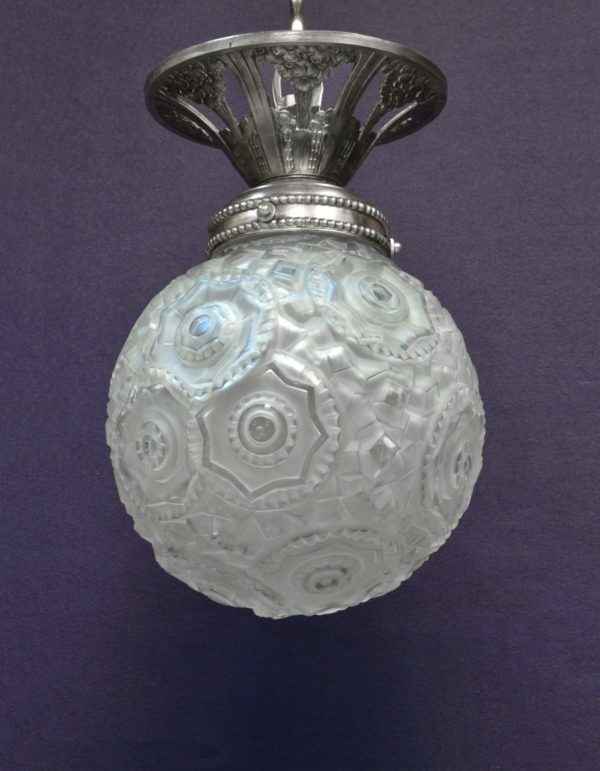 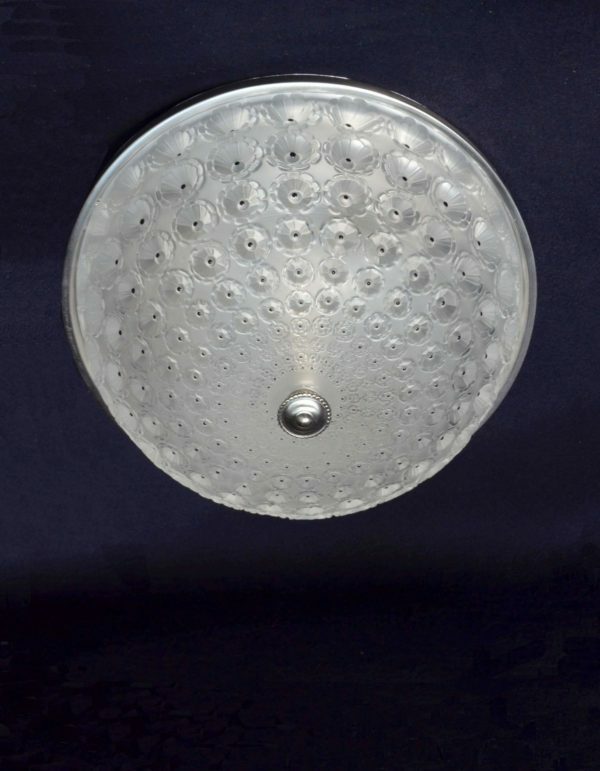 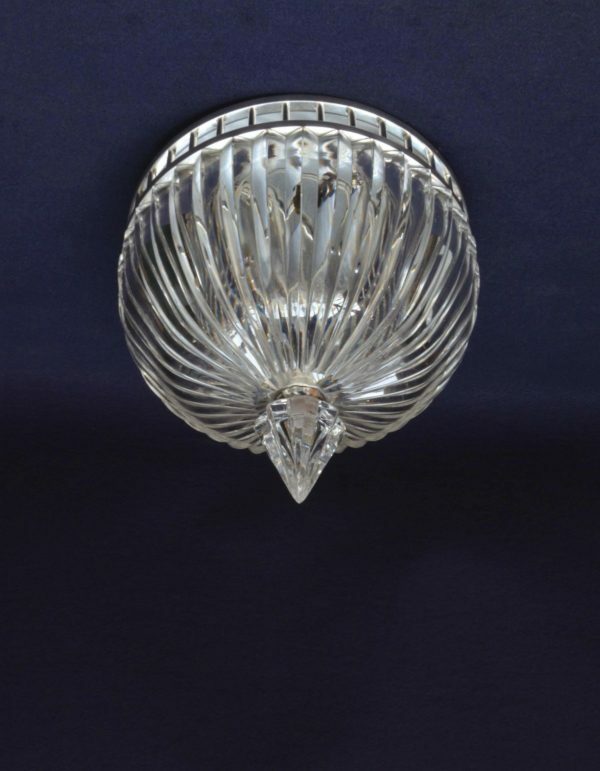 with gallery of clear glass beads and centre ball finial. 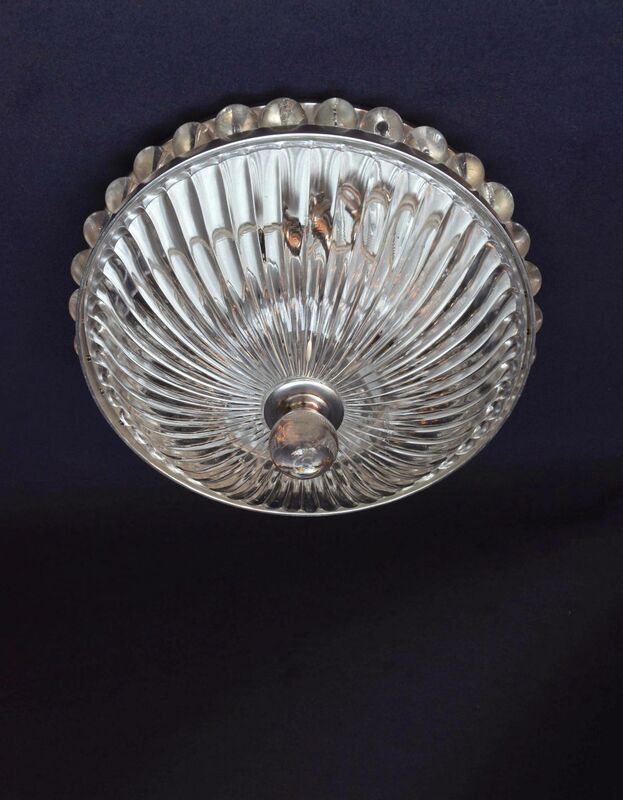 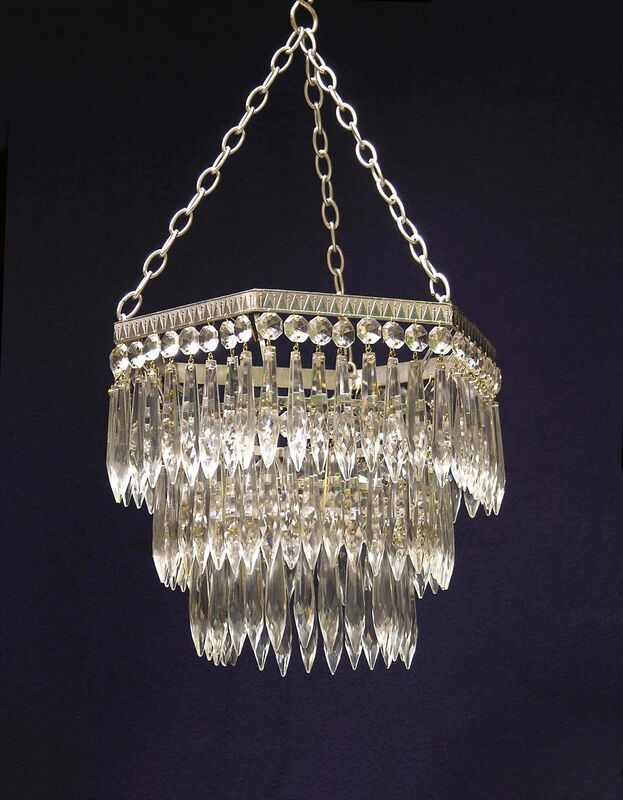 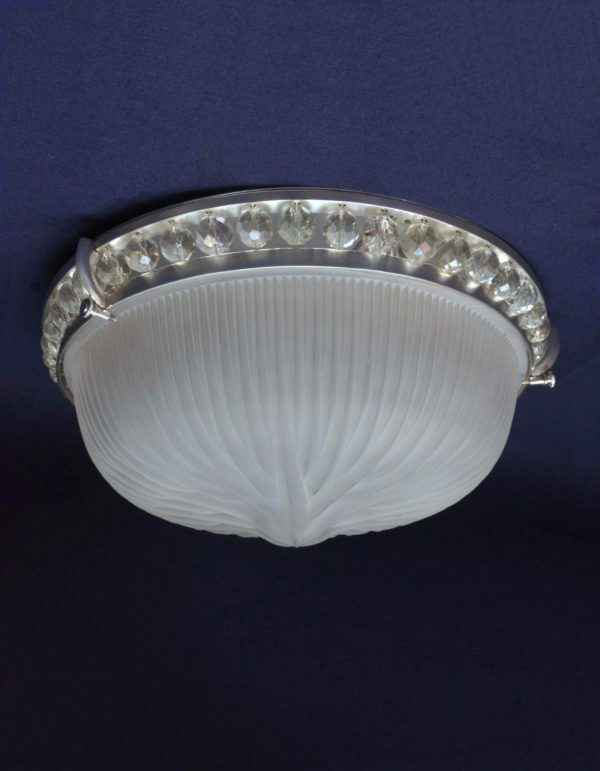 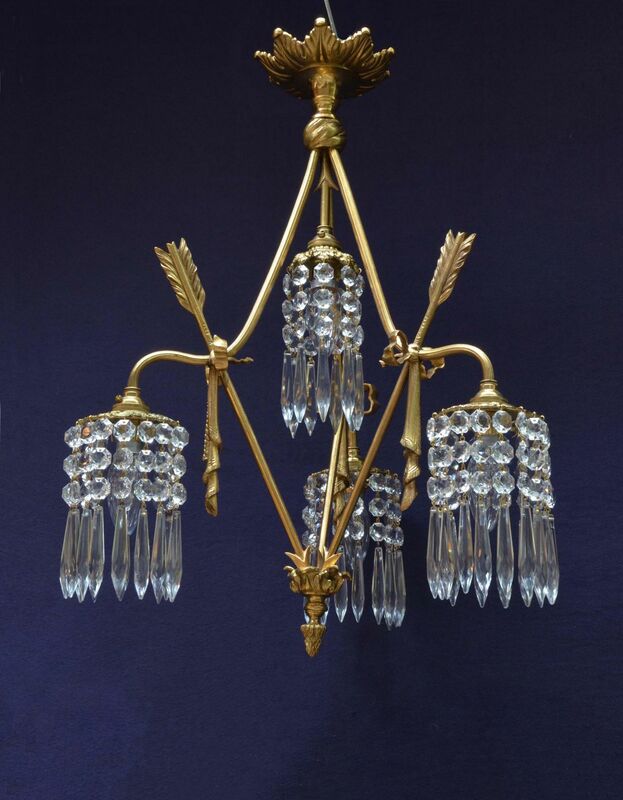 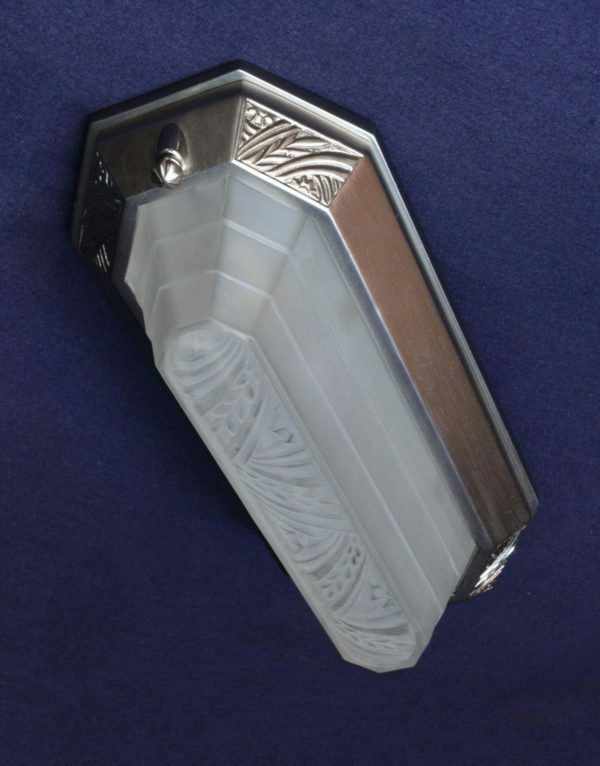 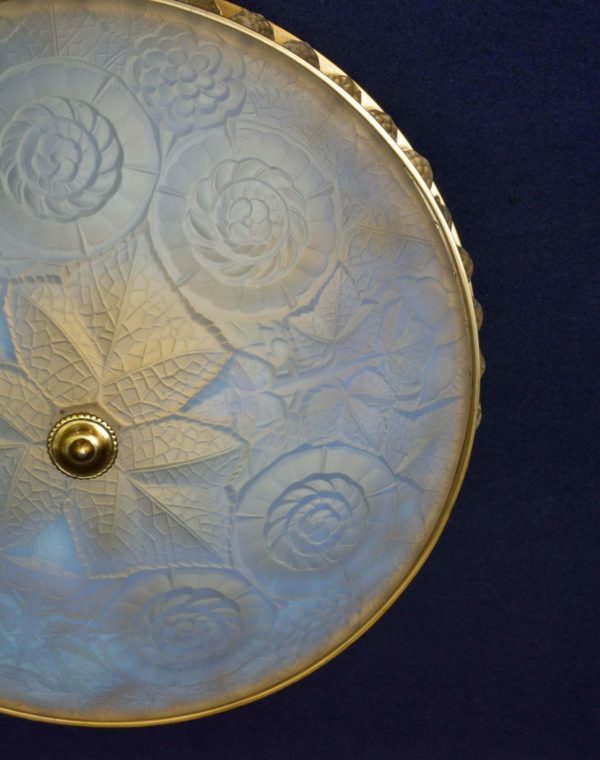 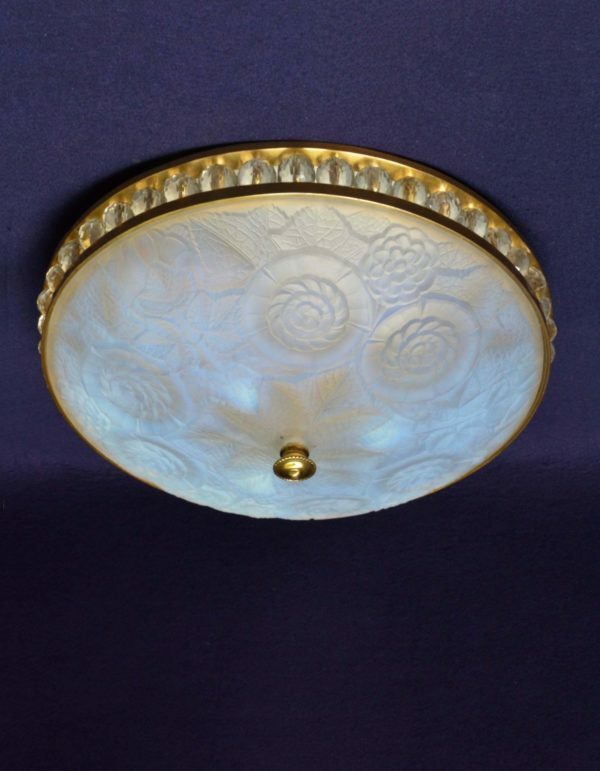 Possibly by Baccarat; circa 1910, restored and rewired. 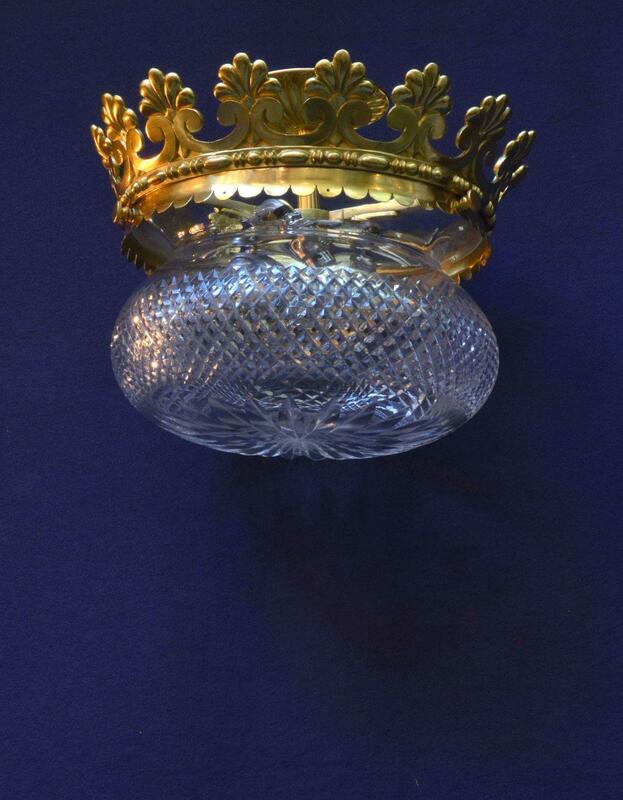 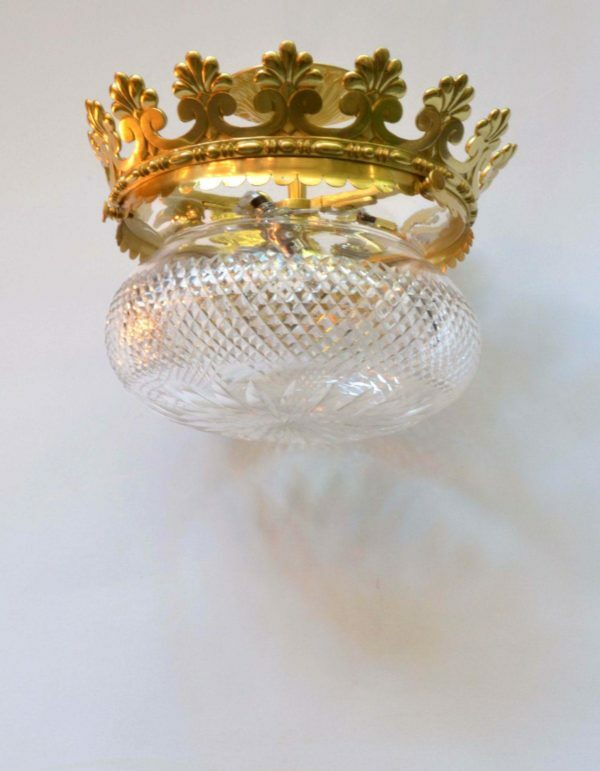 French glass manufacturer founded in 1764 during the reign of Louis XV. Centred in Paris, they made fabulous chandeliers and table glass for royalty, and are still producing high quality glassware today. 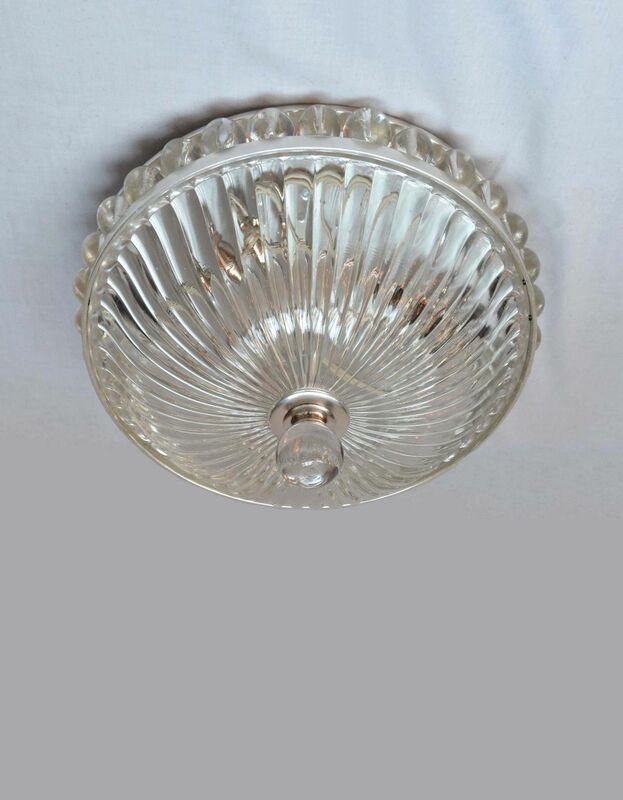 Ceiling bowl set straight onto the ceiling.